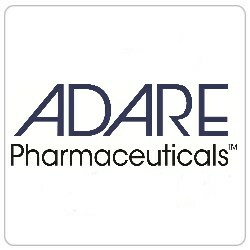 Adare Pharmaceuticals is a high-growth global specialty pharmaceutical company inspired to improve the lives of patients others have left behind. With a growing pipeline, focused R&D efforts, and global manufacturing capabilities, Adare is actively exploring opportunities to deliver greater value for the patients and partners we serve. Our strong legacy from concept through commercialization gives us a competitive advantage as we strive to reshape medicines tailored to the needs of the evolving global healthcare market, develop new technologies and products, and expand our pipeline and capabilities. We see opportunities for transforming medicines where others cannot because of our proprietary technologies, as well as our employees’ expertise and experience in R&D, manufacturing complex products and commercialization. More than ever before, we have the vision, resources and talent to unlock the potential of more medicines and ultimately transform the patient experience. “Talented, multinational, considerate, passionate…” These are just a few ways to describe over 600 employees across our six global locations at Adare Pharmaceuticals. Our vision is fueled by our company’s growth – and we are a company you can grow with. As a testament to the company’s creation, financial and operational success, R&D pipeline and innovation, our CEO, John Fraher, received the Ernst & Young Entrepreneur of the Year® 2017 Award for Life Sciences in New Jersey. At Adare, you will have the opportunity to contribute to this success first-hand, joining a network that is rich with pharmaceutical talent. At the same time, you will see a respectful and collaborative culture in which a single individual can make a significant difference. We actively encourage suggestions, initiative, ownership and decisiveness because we believe that in our business, real change happens when people with passion are allowed to do what they do best. If you are inspired to make a difference in a dynamic and fast-paced company, Adare is the place for you. We have opportunities available for those interested in advancing their careers and becoming part of a team that strives to create new possibilities for improved patient health. At Adare, we recognize and value the diversity of our talent as an integral part of our culture and global strength. We are fully committed to providing Equal Employment Opportunity for all persons. Equal opportunity extends to all aspects of the employment relationship, including hiring, transfers, promotions, training, working conditions, compensation, benefits, and other terms and conditions of employment including individuals with disabilities. Adare is committed to attracting the kind of talented and diverse individuals who want to be part and contribute to a global and growing organization. We recognize that a career is more than just a job – it’s a dynamic part of your life and the life of your family. • Leaders and co-workers foster a collaborative and challenging environment.